We already know about the numerous negative effects that smoking can have on our health – cancer, birth defects, stroke, and more. But being a smoker who’s planning to have cosmetic surgery presents a whole new level of risks. And this is why I strongly encourage patients who want to have cosmetic surgery to stop smoking before surgery. In fact, there are some surgeries I will not perform if a patient is smoking. Do whatever you can to stop. No matter what type of surgery you’re planning to have, it involves prep. Perhaps your doctor told you to stop certain medications, try and lose a couple of pounds or to stop smoking. All surgeries have a lower risk in the nonsmoking patient. A study on smoking and cosmetic surgery found that smoking increases a “multitude of postoperative complications after plastic surgery procedures”, surgical and medical complications, as well as wound complications. The culprit is nicotine which is found in cigarettes, pipes, cigars, chewing tobacco, snuff, nicotine gum, and patches. It can negatively impact cosmetic surgery. For starters, it could cause your blood vessels to shrink, leading to restricted blood flow, then restricted oxygen, all leading to tissues dying. You may experience delayed wound healing, increased pain, life-threatening complications like stroke, heart attack, blood clots, and pneumonia. Other problems you may experience as a smoker include the loss of skin. All surgeries including facelift, breast lift or reduction and tummy tuck share these risks. 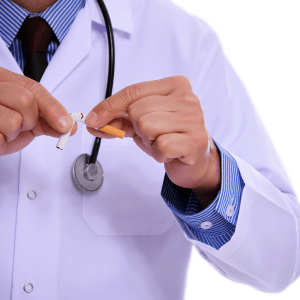 I tell my patients that they must stop smoking 3 to 6 weeks before surgery and continue that through 3 to 6 weeks after surgery. This is crucial. Of course, quitting forever would be ideal. When you come in for your consultation, we’ll discuss your smoking history. I know that a smoking habit can be hard to break. If we’ve scheduled your surgery and it’s getting close, and you’ve taken even one puff, it’s crucial to let me know that. Even that small amount of nicotine could cause your blood vessels to shrink. We can always reschedule the surgery. Avoid second-hand smoke as well. 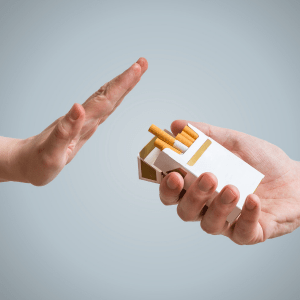 In addition to discussing your smoking history during your consultation, I can also share with you the steps some of my other patients took to stop smoking. Some of those methods include going cold turkey, joining a support group, yoga/meditation, and acupuncture. They may also work for you. 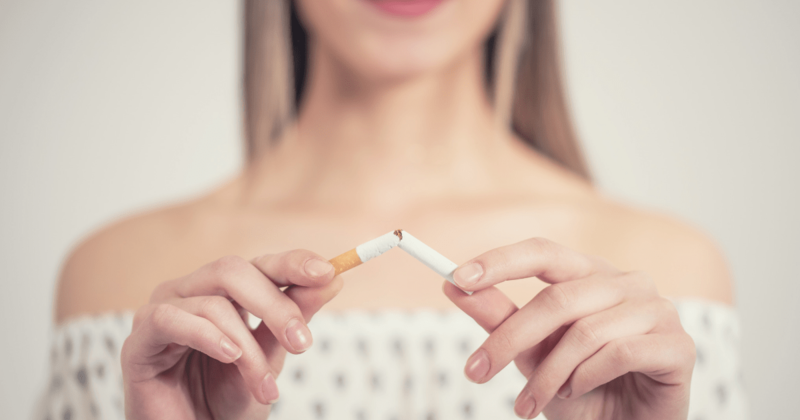 And here’s something that may be an incentive for you: a long-term study found that cosmetic surgery may help patients to quit smoking or smoke less. I offer a number of cosmetic treatments and procedures – both non-surgical and surgical – including the popular Mommy Makeover. But first, if you’re a smoker, we’ll need to get that under control. It can happen. Call us at 301-656-6398 to schedule a consultation to discuss your needs. We have three locations conveniently located near you: Rockville, MD – Annapolis, MD – and McLean, VA. We look forward to helping you reach your cosmetic goals.